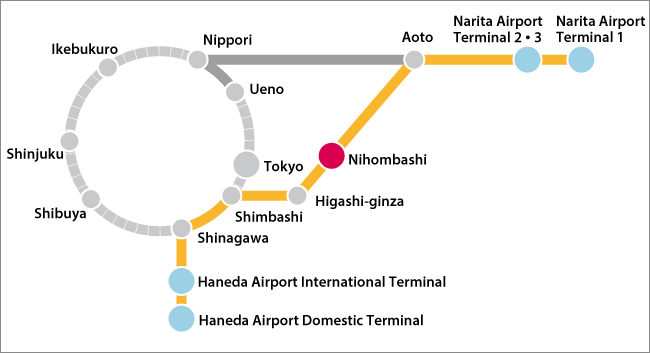 Directly connected via the B12 and C1 exits from the Tokyo Metro Tozai Line(T10), Ginza Line(G11), Toei Asakusa Line(A13). 6 min. walk from the Yaesu Central gate of the JR Line and Tokyo Metro Marunouchi Line. Approximately 60 min. by “Access express” on the Keisei Narita Sky Access Line. Approximately 30min. by Limited Express, and Airport Limited Express on the Keikyu Airport Line. 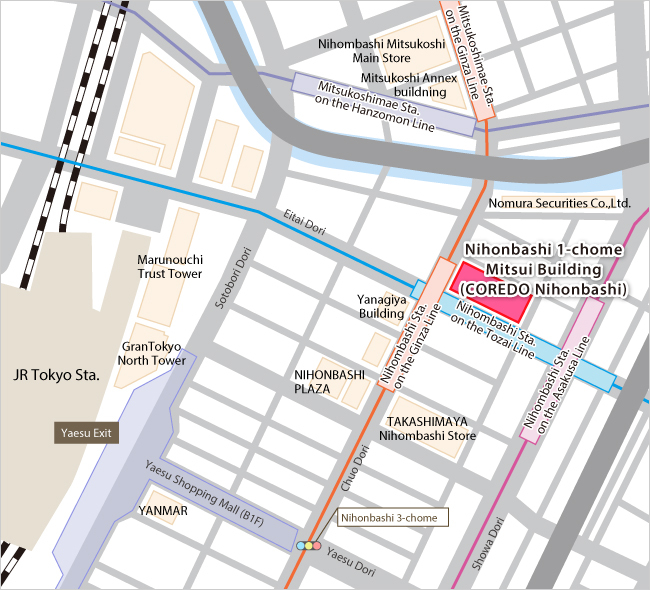 Directly connected to Nihombashi Station via the B12 and C1 exits.